At 84, Shoso Kawamoto is one of the few surviving hibakusha – the Hiroshima atomic bomb survivors – orphans, still telling his story. When I first interviewed Kawamoto for my work in 2012, I hadn’t come across tales of orphans in Hiroshima. The bomb, dropped by the US on August 6 1945, made orphans of around 2,000 children, mostly from central Hiroshima, who survived because they had been evacuated to the countryside. When they returned after Japan surrendered on August 15, they found their parents gone and their city razed to the ground. More than 90% of the population of central Hiroshima perished. Almost all the families of the evacuees died; only six to 11-year-olds and the infirm had been evacuated. Once back in the city, these orphan children usually died within months; despite the efforts of local women to feed them, there just weren’t enough rations to go around. Although author Robert Jungk had interviewed some orphans for his book Children of the Ashes, it was unusual to find a member of this group still alive to tell their story. I met Kawamoto through the Hiroshima Peace Memorial Museum, which curates hibakusha stories. Kawamoto was accustomed to talking about his experience to groups gathered at the museum, where a few of the remaining survivors told their stories. They would often begin with the line, “This is my hibakusha story …”, relaying the facts of what happened on August 6, which is simply known in Hiroshima as “That day”, or “Ano hi”. Then they would weave in their own personal experiences. Kawamoto had been telling his story since he had retired and returned to Hiroshima. He had been away from his city, which was filled with painful memories, for more than three decades. Setting out to interview the hibakusha for my study The Last Survivors of Hiroshima I decided to take a different tack, which surprised them. When I first met Kawamoto in December 2012, I asked him to focus initially not on the horrific aftermath of the bomb, but on something different. I wanted to hear about what his life was like as a child before the atomic bomb. The story that emerged over the following three years came out of a growing friendship with Kawamoto based on that simple enquiry. Indeed all the hibakusha I interviewed for my study responded warmly to these questions. Born in March 1934, Kawamoto was brought up in an area of Hiroshima now known as Kakomachi. He had two sisters and three brothers including an older one who’d had been mobilised as part of Japan’s colonial war effort in Manchuria. His mother was related to the Asano, the once-powerful samurai lords of Hiroshima, and his father was a glass craftsman. Kawamoto had been evacuated to Miyoshi, a neighbouring prefecture, along with other children from his school and lodged in a temple run by a Buddhist nun. While working in the fields on August 6, 1945, he noticed a white cloud rising in the sky over Hiroshima, but no one could tell them what had happened to the city. He was lucky. So too was his 16-year-old sister, Tokie. She had been working at Hiroshima train station when the bomb dropped, and was saved by its thick walls. The next day she went to Miyoshi to find Kawamoto and bring him back. Unable to locate the rest of their family, the two took shelter in the remains of the station. It was here Kawamoto witnessed the way the orphans eked out survival. A black market sprang up around the station where local women set up stalls to feed the orphaned children. Older children bullied younger children; the only way the smaller ones could survive was by scraping the food left in the pans. Towards the end of 1945, Kawamoto saw many children die of starvation. Some were so hungry, he said, they died with stones in their mouths. In February 1946, Tokie died too, of undiagnosed disease, probably leukaemia. Kawamotowas adopted the following month by a Mr Kawanaka, the owner of a soy sauce factory in a village called Tomo. Kawamoto worked there for the next 11 years. By the time he was 23, he met a girl and fell in love. They got engaged, but his fiancée’s family blocked the marriage because he had a hibakusha health certificate, which proved he had come to Hiroshima in the aftermath of the atomic bomb. People were afraid to be around those who had been exposed to radiation. Afterwards, vowing never to marry, Kawamoto lived the rest of his life alone, building up a restaurant business in the nearby city of Okayama. Although Kawamoto had told me so much, there were many silences and things left unexplained. It was clear he must have lived as a street child for about a month in 1946 when his sister died. But he said he had only “witnessed” the street children. A sense of shame and taboo still clings to hibakusha stories, especially those of orphans, since they remain unclassified, their entire families wiped out by the bomb. In 1945, both Japan and the US sought to censor and control the information about the horrific humanitarian consequences of the atomic bomb; this continues to have repercussions for the way the hibakusha live their lives and tell their stories. 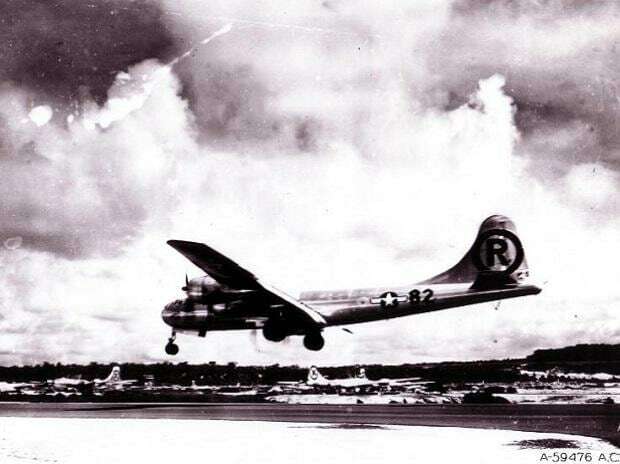 When Japanese people started to express outrage about the bombings, the US, now occupying the islands, imposed strict censorship in September 1945. The Australian reporter Wilfred Burchett, writing for the Daily Express, had parts of his report from the ground in Hiroshima, The Atomic Plague, censored. Photographs and film reels of the bombed cities were then confiscated and although The Life Span study was established in 1947 to study the biological effects of radiation in Hiroshima and Nagasaki, access to financial support for medical care only came in 1957. Today, much has been done to publish the testimonies of Hiroshima’s survivors. Recently, a popular genre called “atomic bomb culture” has burgeoned and includes animé films such as In This Corner of the World, based on pre-war Hiroshima. Over a period of three years I followed up with Kawamoto, and revisited with him the places that were important to his childhood. He also shared many more sad stories of surviving orphans, some of them still living impoverished, difficult lives in prison, hospital or in care, into their late seventies. On a later occasion we shared lunch together with some other hibakusha I had interviewed. By focusing the study first of all on childhood, a common ground of shared experience opened up for other survivors too, from which powerful, healing stories could emerge. In telling his, Kawamoto told me, he had found his ikigai – his reason to live.